Master Weston has been training at Essential Martial Arts since the summer of 1997 with her family and holds a degree from Tobe Coburn College. With the rank of 5th Degree Black Belt Trainee Master, she is one of the highest ranking instructors at our Greensboro location. Master Weston is also an instructor of Tai Chi. Master Weston has been training at Essential Martial Arts since the summer of 1997 with his family and holds a degree from NC State University. With the rank of 5th Degree Black Belt Trainee Master, he is one of the highest ranking instructors at our Greensboro location. Additionally, he is one of the highest ranking HapKiDo instructors at EMA as a 4th Degree Black Belt Master Instructor through the World HapKiDo Association. Additionally, he is one of EMA's highest ranking HapKiDo instructors as a 4th Degree Black Belt & Master Instructor through the World HapKiDo Association. Master McKillican is a 5th Degree Black Belt Trainee Master at Essential Martial Arts. She holds a masters degree from the University of North Carolina at Greensboro in chemistry. Training at EMA since early 1998 with her family, she is one of the highest ranking instructors at EMA of Greensboro location. Master McKillican is also an instructor of Tai Chi. She enjoys yoga in her free time. Dr. McKillican has been training, along with his family, since 1998. He holds a PhD in Chemistry from the University of Southern California, he also holds the rank of 5th Degree Black Belt Trainee Master in Taekwon-Do and is one of the highest ranking instructors at the EMA of Greensboro location. Additionally, he is one of EMA's highest ranking HapKiDo instructors as a 4th Degree Black Belt & Master Instructor through the World HapKiDo Association. He is also the Director's Assistant to the World HapKiDo Association's Eastern U.S. Director. Master McKillican is also an instructor of Tai Chi. Master Hendrix has been training at Essential Martial Arts since 1998, holding the rank of 5th degree black belt & Trainee Master in Taekwon-Do. She holds a degree from the University of North Carolina at Greensboro in leisure studies with a concentration in commercial recreation. Additionally, she is the co-owner of Essential Martial Arts and one of the highest ranking instructors at EMA. Additionally, she is a Master Level instructor in the Easy Tai Chi & 4 Minute Fitness program. Master Jordan holds the rank of 4th degree black belt & Trainee Master in Taekwon-Do. Additionally, he is one of EMA's highest ranking HapKiDo instructors as a 4th Degree Black Belt & Master Instructor through the World HapKiDo Association. Master Jordan holds a degree in engineering from Georgia Tech. 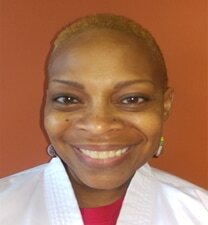 Master Weston is a 4th Degree Black Belt & Trainee Master in Taekwon-Do and a lead instructor at EMA of Greensboro. He was our very first "Li'l Dragon", having started his martial arts journey at EMA when he was only 4 years old. Now in his twenties he is our youngest ever Trainee Master Instructor. He is also an advancing student in our HapKiDo program. Ms. Magan is a 4th Degree Black Belt in Taekwon-Do and the Lead Instructor and enrollment coordinator at EMA of Stoney Creek. Master. Duncan - is a 4th Degree Black Belt and Trainee Master in Taekwon-Do and a lead instructor at EMA of Greensboro & EMA of Oak Ridge. Master Duncan was a member of the United States Coast Guard and Studied English Writing and Communications at Greensboro College. Master Chatman - is a 4th Degree Black Belt and Trainee Master in Taekwon-Do and a lead instructor at EMA of Greensboro & EMA of Oak Ridge. Master Chatman holds a degree in engineering from North Carolina A&T University.